Ready to advertise on Google? See how to lower costs and maximize your ROI with help from our experts! Our Free Guide includes everything you need to know about growing your business with Adwords in 2016-17. 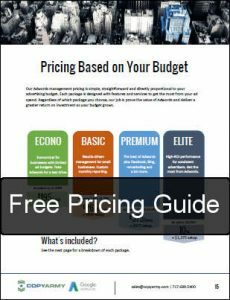 We’ve also information on our pricing packages, so you can what’s included in our PPC management services and how to get started. 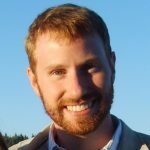 Our Search Marketing Director, Mike Marlin, oversees all Adwords campaigns and serves as your primary point of contact for all aspects of your account. Simply fill out the form on this page, or email sales@copyarmy.com, and Mike will be in touch shortly to set up your account. Enjoy your free guide!